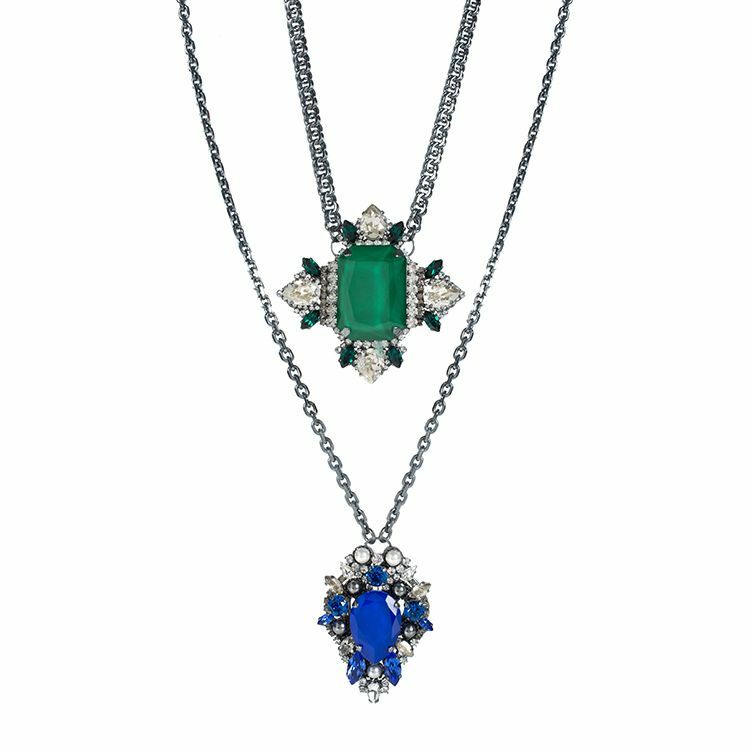 This contemporary pendant necklace is inspired by the large, statement jewellery pieces worn by the Royal Family. 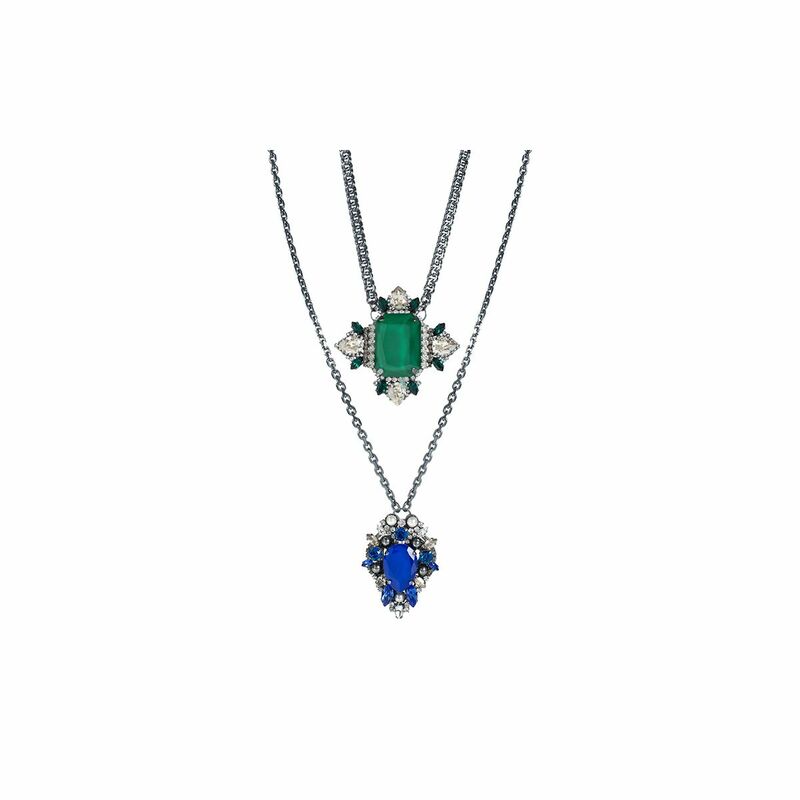 Set into gunmetal plated base, this pendant necklace is made with magnificent sapphire blue and emerald green Swarovski crystals and some stones are specially enamelled to give extra depth. 37 cm from the clasp to the bottom of the green emerald pendant. The green emerald pendant is 7 x 7 cm. 57 cm from the clasp to the bottom of the blue sapphire pendant. The blue sapphire pendant is 6.5 x 4.5 cm.